The 2014 Winter Olympic Games are over. At that time through my work I coordinated trainings for medical doctors in four regions of Russia. One of the regions was Krasnodar Kray. My Krasnodar counterparts called to the office and announced that they would like to have training in Sochi. I had to supervise the workshop, so I was excited to go. I never was at Sochi before. I didn’t know much at that time about this cute and famous town except the famous Soviet saying: Nights in Sochi are dark” mostly because in Russian the word «Sochi” is rhymed with word “nights”. I happily agreed, and I also decided to go with my son and my husband on that trip. Honestly saying I completely forgot that the dates of the conference fall on the International Olympic Committee announcement day, and I had no idea that the conference hotel is the one where a celebration group would sing and jump all the night. That was a nice surprise. After the working day, my family went to bed and I came outside of hotel to see the concert and feel the crowd. There were many famous singers, I remember Kirkorov . They sang in front of the excited crowd and each 5 minutes there was direct translation of Olympic Committee on screen. When you are inside of a yelling crowd, you also started feel excited even if you personally have nothing to do with that. So, I was engaged in everybody’s excitement: which country would be chosen for the winter Olympics 2014 (seemed so far off that time). And finally they open the envelope and announced: SOCHI, RUSSIA! Fireworks started. People were jumping around and yelling: Russia, Russia!!! I quickly ran back to my room to check on my son. He was 2 at that time. He woke up, sat in the bed and cried. “What ‘s happening?” My husband tried to explain to him. Russia would have Olympics! Is it good or bad? It’s good-people are happy! Then he heard Dima Bilan’s song and started dance in the bed. After that, we all went to sleep around 2AM. Next morning I woke up in a good mood. I was passing the hotel’s lobby and congratulate receptionists. They didn’t look happy though. “We don’t know how it would be for Sochi”, – one girl told. “We may not recognize our town in a few years. I think this hotel will not exist also,” -added another one. They probably were right. It was a typical many storey building hotel, very Soviet one. I went to my conference and Sochi’s natives express the same concern. 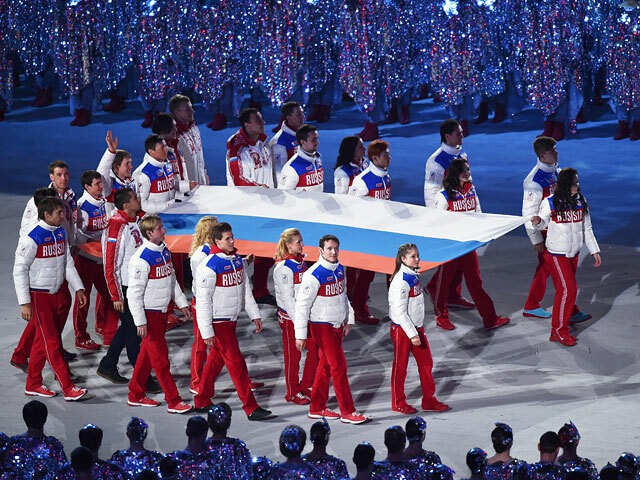 Posted on February 24, 2014 October 23, 2014 by YuliaPosted in It's cultural, Moving to a different country, multicultural marriageTagged Russian culture, Winter Olympic Games. Юлечка, ты всегда можешь спросить меня)) я native, и я ездила туда на Олимпиаду! Все перестроили очень красиво, Жемчужина осталась, все местные сейчас уже очень довольны и гордятся! В городе царит невероятная атмосфера! Я была на церемонии Открытия, и все плакали от счастья. Но тогда еще люди боялись проявлять свою радость, так как боялись, что что-то может пойти не так. Но под конец Олимпиады весь город стоял на ушах, все обнимались, плакали, целовались и коллективно гордились нашей страной!